An obituary for the winter of 2014. I haven’t always been fond of you. As I arrived in 2002 in Finland you had the country in your icy grip, and spring couldn’t come early enough for me. Also in the next couple years, when you visited Jyväskylä with -35°C temperatures for weeks at a time, I didn’t find particular pleasure in you. But I got wiser with age. 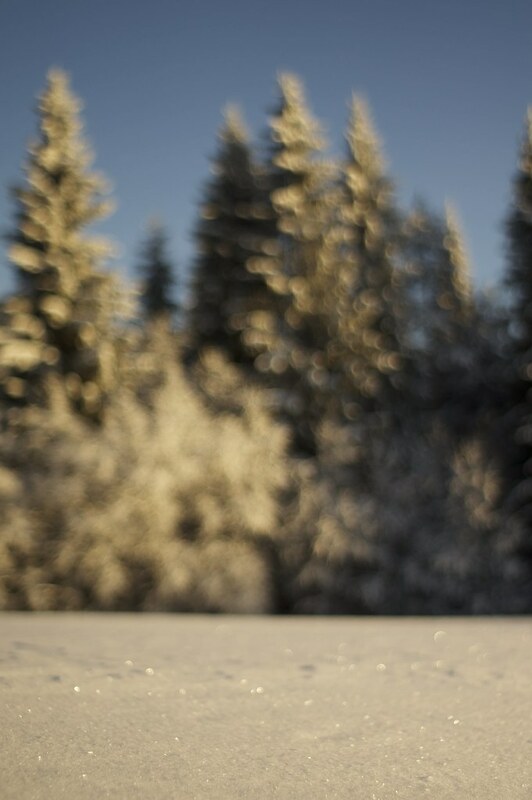 I slowly started to enjoy your gifts, and took my snowboard and skis down the hills and tracks. I enjoyed walking my dog on frozen lakes, tried Nordic Tour skating, and had many laughs as I was tobogganing down steep hills with my sled. Warming up besides a warm fire with a hot Minttu kakao has become a sacred ritual, one that I carried over into summer after a long day on the trail. The more time I spent outside between spring and autumn, the more I fell in love with what you had to offer. I realized that there’s no such thing as bad weather as long as one is dressed well. I became aware that you make possible things which spring, summer and autumn can’t: I am able to see the tracks of animals in the snow. On skis the going is fast and fun. I can build snowmens with my son. 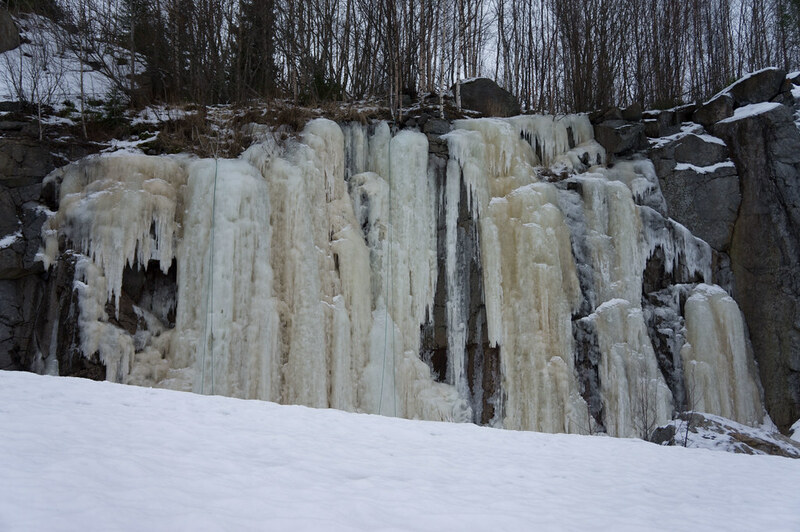 Go winter hiking with friends and swim in ice holes after a sauna. And lately I enjoy climbing steep frozen ice. I explored forests and hills on my snowshoes, and built snow caves. But this year, you decided to not spend much time here. In early January I needed to drive 600 km north to find you. I climbed beautiful ice falls, camped on snow, and enjoyed the silence. Two weeks later you appeared here in the south and covered the land with snowflakes and the sea and lakes with ice. I took pleasure trailrunning on soft, snowy trails, climbing the local icefalls, and building a snowman with my son. It shouldn’t last. And that where I was pondering fatbikes and new skis, to bring more fun and excitement to into the cold season. A mere four weeks after you arrived, you are as good as gone again. I couldn’t even get the skis out for a round on the ice, let alone the local trails. Our snowman is nothing else than a sad little hill of hard-packed snow. Instead of bright, snow-lighted nights, darkness reigns again until the sun will stay up all the time. Your attempts at a comeback are half-hearted, and so I look back on memories of when you visited Finland and gave us lots of fun. May you come back in 2015 like this. As for 2014, I hope that Eastern Tyrol, the Dolomites and the USA know to value your presence. I leave thee behind with the positiv prospect that the packrafting, backpacking, bouldering and rock climbing season this year will start a few months earlier as usually.